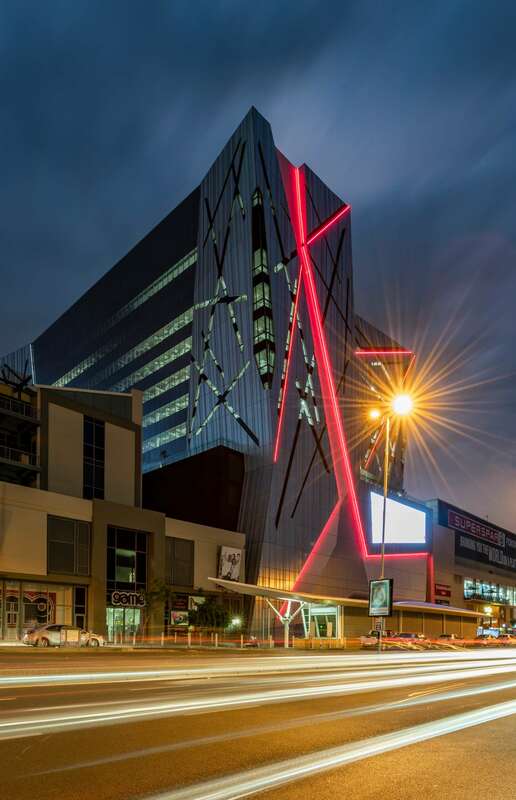 Located at the Heart of Rosebank next to the Gautrain Station, The Zone and Rosebank Mall. The new office building development at 173 Oxford Road. The Rosebank Mews achieved practical completion in September 2018. 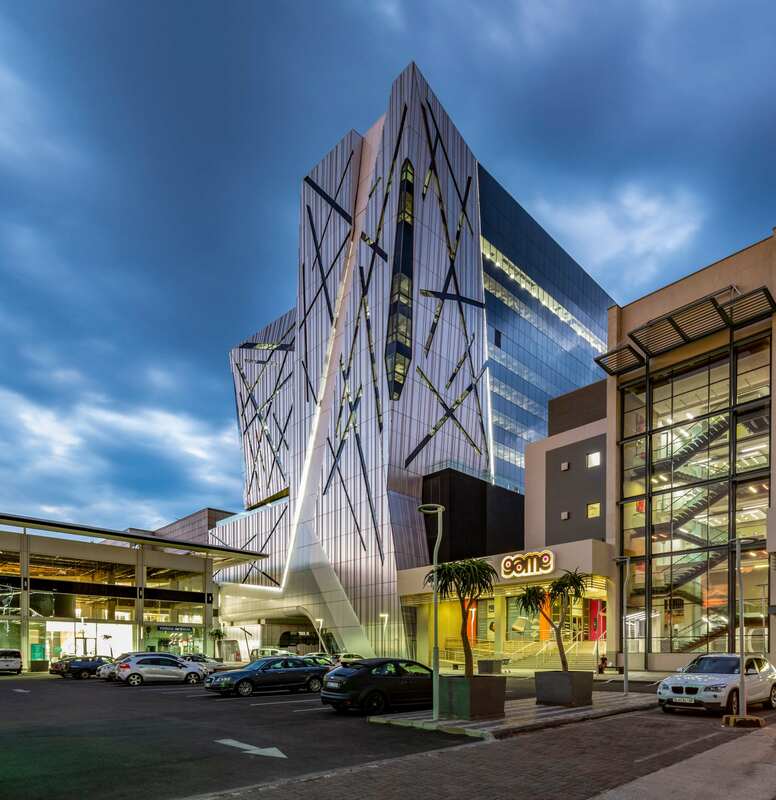 The building has been planned for a total rentable area of 17 888m ² of office area and 817m ² of ground floor retail area. 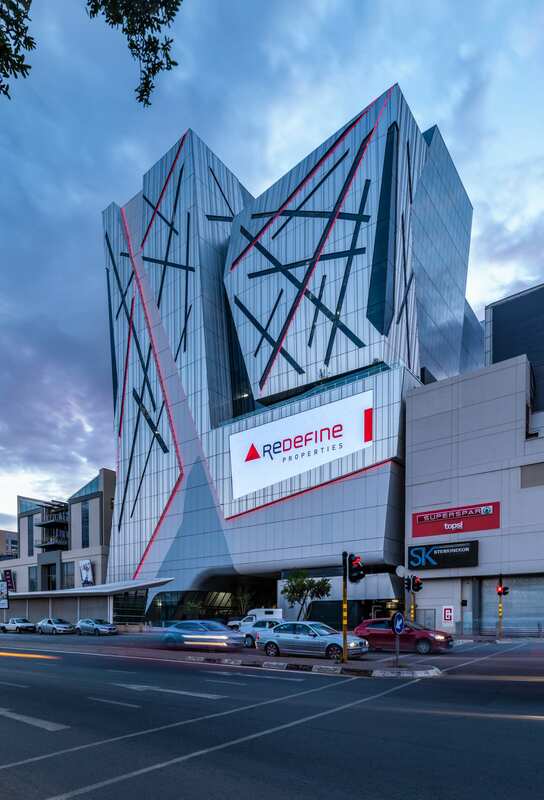 This project is set to transform the current existing building into an expressive steel and glass clad shell office building, making it a uniquely imposing icon of the Rosebank Skyline. 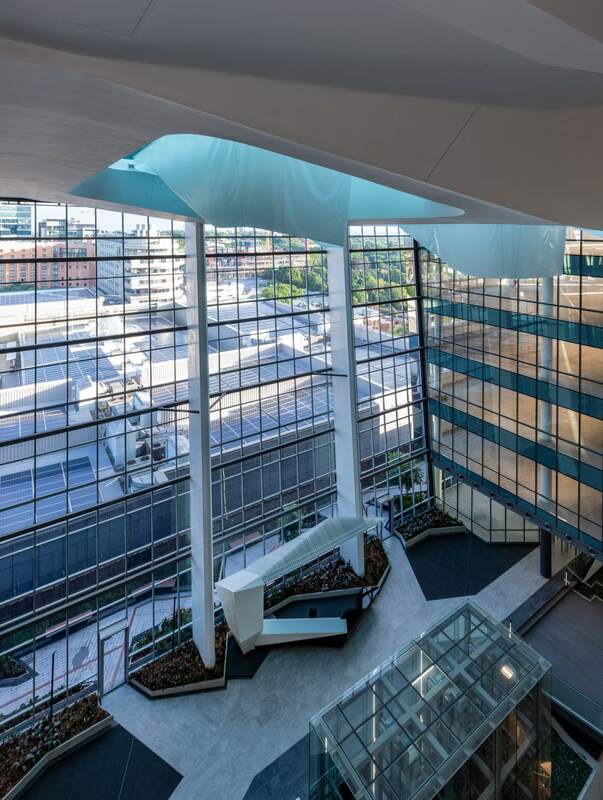 Standing at a total of 15 stories above ground the building consists of 2 basement parking levels, a ground floor public/retail level, 5 parkade levels and 9 stories of offices above a podium level. 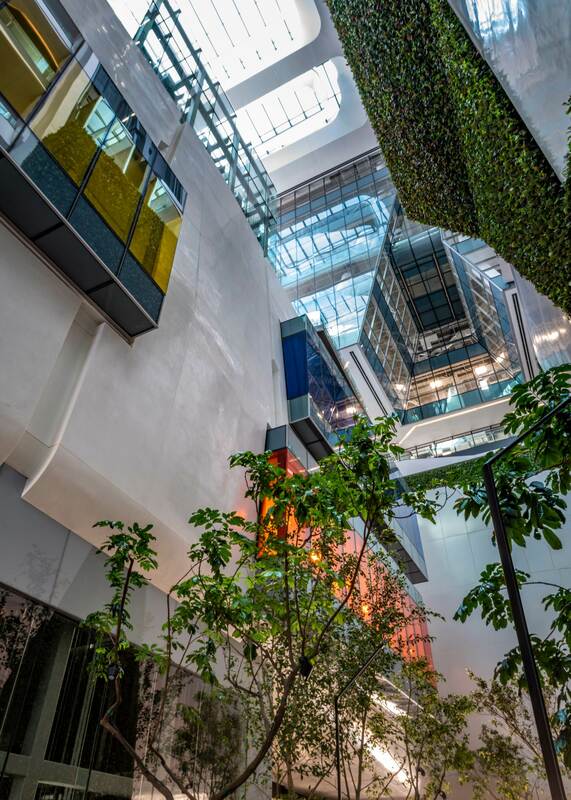 East and West facades consist of a steel clad shell with articulated strip windows to allow light and views to filter into every office module. The faceted East and West façades will have a visual quality emphasised by the articulated strip windows that will transform from day to night. 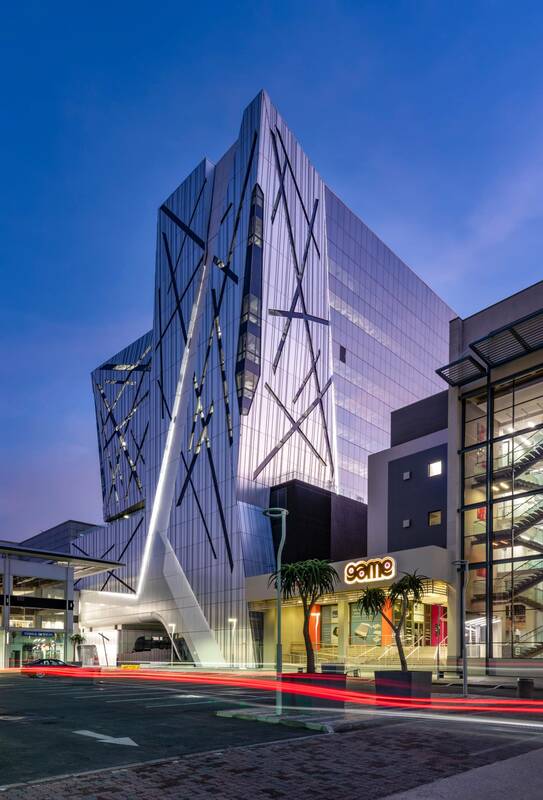 The flush glazed North and South Facades will allow for interrupted views over the greater urban area of Rosebank. The backdrop to the facades is a smooth glossy flat finish which transforms itself into the underbelly of the building. 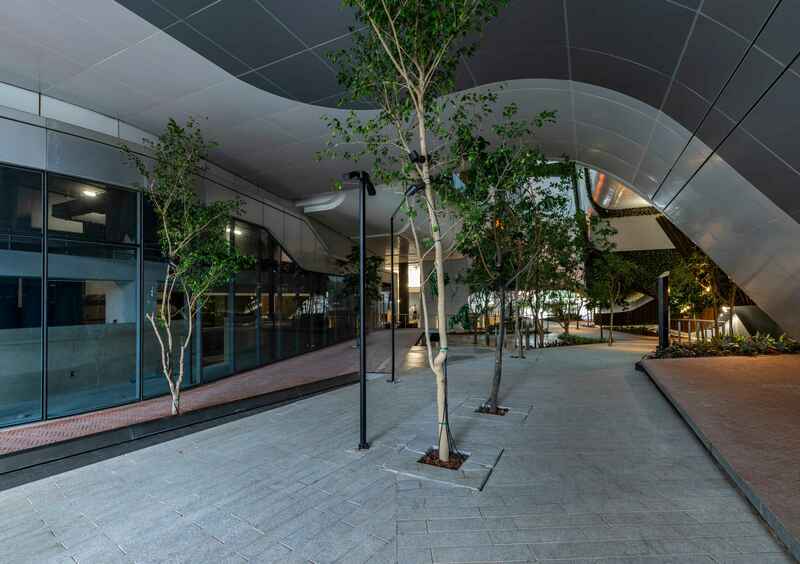 The organic vaulting architecture of the underbelly raises the building from the ground allowing users to traverse an unimpeded thoroughfare between the Gautrain station and shopping centres, devoid of spatial boundaries. The building is designed and will be operated in an environmental and sustainable way. 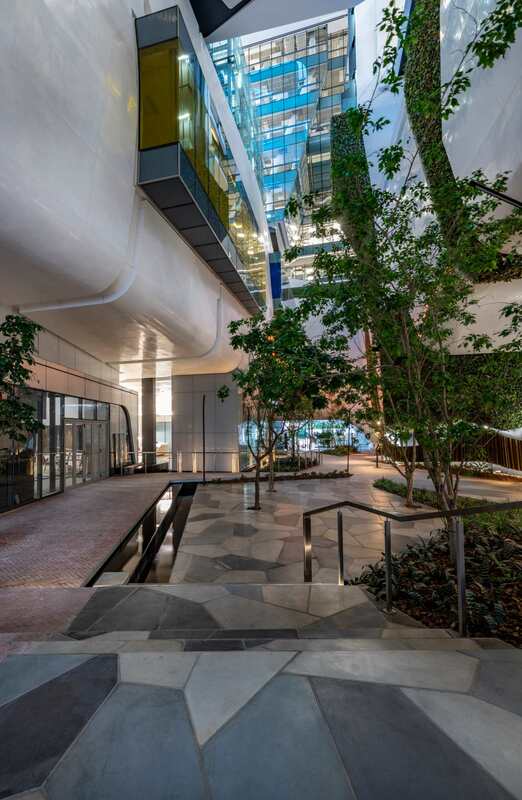 Passive building design techniques and environmental considerations will meet a 4 star Green rating, creating a healthier and more productive environment. 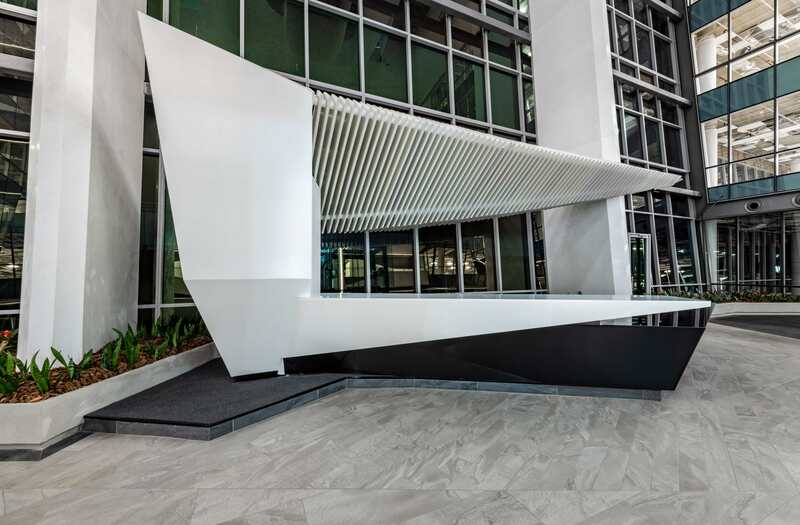 This Building complements the tone of Redefine Properties to showcase their corporate values and identity which is achieved throughout by Paragon Architects finely honed ability to value engineer and design without the monotony often associated with corporate office design.